Let Enjoy Unlimited Music from KKBOX for 90 Days for FREE Now! Looking trendy artists and music? 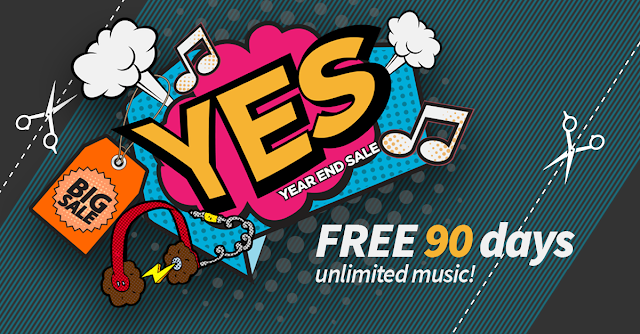 Here is the excited news for you and you can enjoy free 90 days unlimited access of premium trial in KKBOX! KKBOX is an apps to let you enjoy music anytime and anywhere. No matter in your mobile phone, computer or tablet, you can listen music but also can interact with your friends in social media like Facebook and Twitter, chat with them while listening the songs. It's sound interesting? Let me tell more to you. KKBOX is the Asia's leading music streaming service established by a group of Taiwanese software programmers with a shared passion for technology and music. 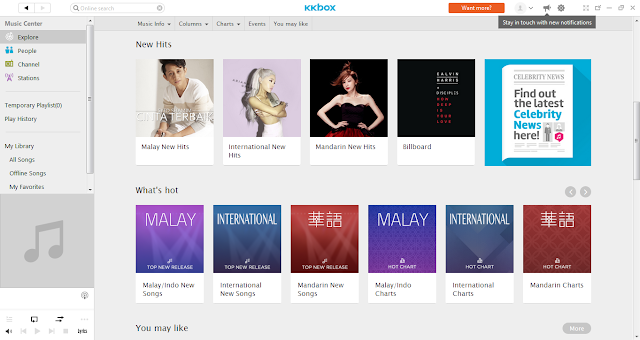 KKBOX now is features 20 million legal tracks, including the most comprehensive Asia-Pop music library, and is currently available in Taiwan, Hong Kong, Japan, Singapore, Malaysia and Thailand with over 10 million users. Explore any songs in homepage you want. You can select more than 11 genre of music from Jazz, R&B, Hip Hop and so on. You can choose your music accroding your mood on that day! Just go to Mood Stations and find the best music that can match your mood. How cool it is! This is the excited news, you can listen what music is celebrity listen now! You just almost close to your admire celebrity and listen the same music together at the same time! Unlimited Music: You can access more than 20 million songs featuring a diverse mix of International, Malay, Chinese, Korean and Japanese Songs. Music Anywhere: Access your music collection via smartphone, tablet and PC. Playlist are synced across devices, anytime, anywhere. Listen with Artists: Get closer to your favorite artists. Enjoy listening to what they're listening to and chat with them at the same time. Music Sharing: Connect to Facebook & Twitter and share your favorite songs & playlists with your friends. Karaoke On-The-Go: Sing along with rolling lyrics and throw spontaneous karaoke parties everywhere you go. 2. You must have more than 10 Facebook firends. 3. You must allow KKBOX app to connect your Facebook account. You also can use your email to obtain premium trial of 90 days. If you would love to try out the KKBOX to access unlimited music, download KKBOX and become KKBOX member to enjoy unlimited music access in your fingertip now! 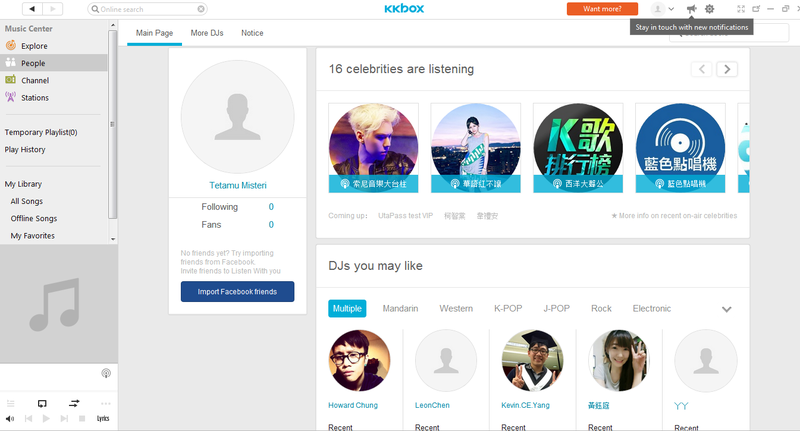 You may checkout their social media to get the latest news of KKBOX. 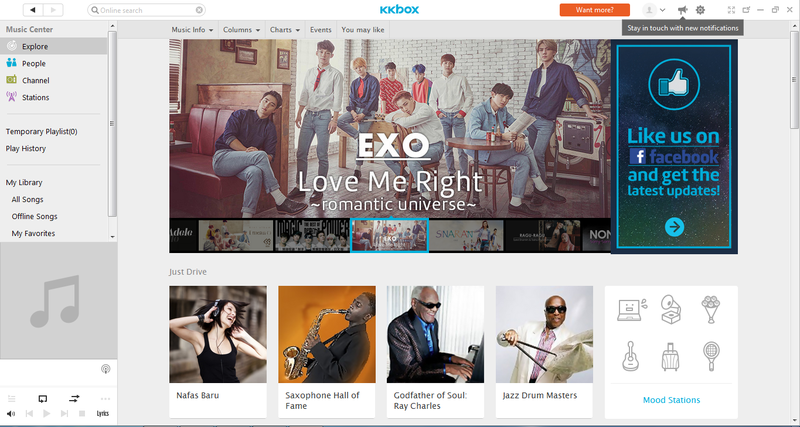 Let''s begin your ULTIMATE MUSIC EXPERIENCE at KKBOX! Cool trial promo 90 days! i will let my friends know about this. I have download the KKBOX and enjoy my 90 days free unlimited music. So many nice songs to download. So nice.. free for 90 days.. It's music time! friends that love this, will let them know. Got 90 days trial not bad, should inform them now. Would love to try this out but I hardly listen to music anymore since I am always at work. I have some of my own music on my phone, though. Is this similar to spotify? You will have to use data to stream the music? Have you tried it and is it good? Cool! This is like Spotify! Thanks for sharing! I love free music! 90 days is definitely a good deal! how's the connection like? does it need data/ wifi to function? i really love singing, especially singing to myself haha. i think this will be worth to try. 90 days free trial ? I really need to get this to listen to my favourite songs. Thanks for the infor. Oh hey...cool stuff. Will give this thing a try for some fantastic music. sound great!! enjoy music all the time!! I have not heard or used it before but sounds great.